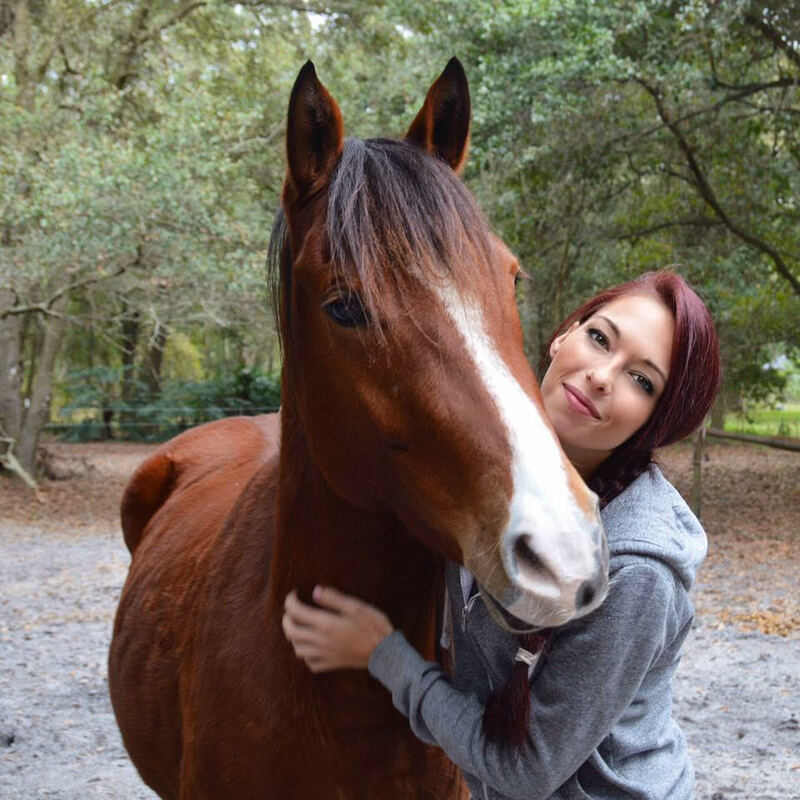 Jenna Hogg is most notably the co-founder of Free Spirit Equestrian Center & Rescue. A not-for-profit organization dedicated not just to the rescue of horses in need, but also to helping humans who could benefit from the therapy offered by these incredible animals. She is also the vice president of I Stand With My Pack, an organization dedicated to the prevention of animal suffering and cruelty around the world. A primatologist by trade she's also spent time studying orangutan's and their capacity for cognitive development. What she experienced with these creatures forged her path toward helping all creatures in need, large and small. Where were your born and raised? How did your youth ultimately influence the work that you do today? I was born in Tampa, Florida. I was frequently moving as a child and cannot say that I was raised in one particular place. Every year or two years of my life I lived in a different city in Florida to North Carolina. I went to three elementary schools, two middle schools and five high schools. Because of this, it has made me very open minded. I have met and befriended people from all walks of life, all classes, all races, from the tiniest towns to the big cities. It made me adaptable but also confident in who I am. Every place I’ve lived taught me something and was completely different than the last. The biggest lesson I learned is that society has a way of socially constructing viewpoints and ideologies into our everyday lives. But it is up to us to choose how we live, what we believe in and who we are to become. Our perspective is everything. You have done so much for animals and the environment. Tell us a bit about your non-profit efforts with Free Spirit Rescue and I Stand With My Pack? What are each of these missions designed to do and what is your participation? 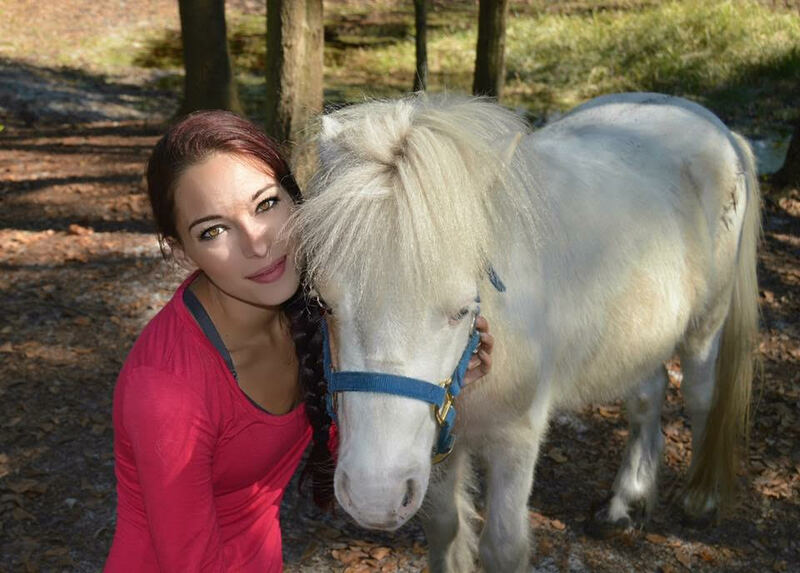 I am the co-founder for Free Spirit Equestrian Center & Rescue, which has been opened for almost three years. My mother and I opened the rescue and built it with our bare hands and only $800 to start. Blood, sweat, and tears has been poured into this animal rescue. Our mission is to create a safe place for both people and animals. A place that is built on compassion as the foundation. We aim to inspire people that each and every life on this planet has a purpose and compassion can change the world but it has to start with each of us. I am the vice president for a non-profit organization called I Stand With My Pack. I was drawn to this organization because of its need to bring awareness to global animal welfare initiatives. 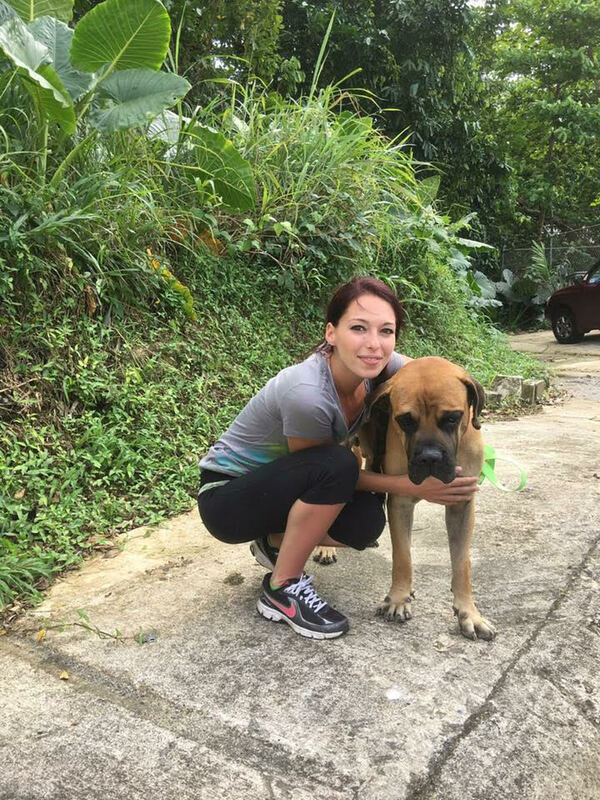 From saving dogs in Puerto Rico to elephants in Sumatra, this organization is ran mainly by a group of strong willed women who are determined to help keep this world beautiful for our children. You pursue a career as a Primatologist and Medical TA at an Animal Hospital. Can you tell us a bit about this career choice? What is the intersection between your career and your personal missions? Since I was a child and old enough to verbally communicate my love for animals, I have always wanted to work with primates. When I was 12 I was given the book, Gorillas In The Mist by Dian Fossey. Since that moment I dreamed of jungles and saving primates. In my final year of college, I studied orangutans and their abilities for cognitive development and interspecies communication through enrichment. What I learned was fascinating and completely changed my life. These beings are capable of conscious thinking, problem solving, having emotions such as love, and the ability to communicate their thoughts and their needs. My heart broke for their species on the brink of extinction. I went on to work with gibbons, capuchins, marmosets, tamarins siamangs, and lemurs. After four years I wanted to take everything I learned and really make a difference. That is when my mother and I decided to open an animal rescue. We started out with equines and animals saved from slaughter houses but in 2018 we will expand to help non-human primates. These primates more than any other animal are the most similar to us and yet they are tortured in laboratories, locked in tiny cages, and kept as pets. I hope that every life we save we can bring awareness to the fact that we are not superior. Compassion is superior. I have always been an avid learner. In the last ten years, I have learned a vast amount in many different facets of the animal world but one area I was lacking was animal medicine. I wanted to expand my knowledge, so I sought out a position that would allow me to gain more experience at an animal hospital. As someone who rescues animals from abusive and neglectful circumstance, many of these animals need medical attention and care. Being able to learn how to help them not just emotionally but physically has been essential. You have a particular affinity to horses. Why are these animals your particular passion? Do you focus on other species? My mother is the one who showed me how magical of a species horses truly are. While primates where my specialty, horses where hers. Because there was such a prevalent need to rescue horses we rescued our first horse named Apollo, who was rounded up from the wild in Nevada. He was completely feral. He was the definition of a free spirit, or at least he was. When we rescued him at the auction, he was on his third strike and had been shipped across the country from Nevada to Florida. He was broken, I could feel the heaviness of his soul. His eyes simply stared blankly and held such an emptiness. Lost, alone and scared this once free-spirited animal left me with a fierce need to protect his species. Today he is safe and happy, integrated into a new herd where he is alpha and will always have a home at Free Spirit Rescue. But the look in his eyes when I first met him will haunt me forever and make me determined to be a voice for his kind. Currently free spirit mainly focuses on horses, and will be expanding to non-human primates but we rescue a variety of species of animals. 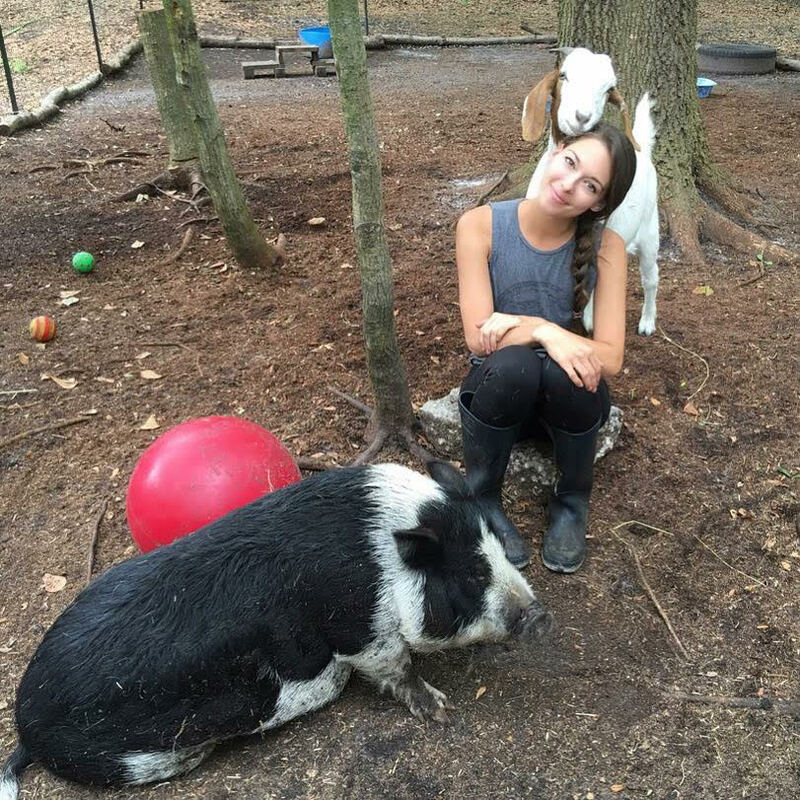 From goats to pigs and cats and dogs, we try to help any life that is in need. How do you express the environmentalist within you while you are simply living day to day? What are some simple things that you are mindful of which keep your own footprint on this earth small? Sustainable Palm oil is something I am extremely passionate about. The palm oil industry is responsible for animal cruelty, deforestation and climate change. The massive impact it has on deforestation is pushing many species into extinction. The effect of carbon emissions it releases into our environment is crippling. I try my hardest to not purchase or use any products or support companies who are not palm oil sustainable. I try to make my own footprint on this earth small by altering the way I live from "aimlessly consuming" to "mindful consuming" that is where a difference can be made. While I alone cannot create a difference by practicing mindful consumption, imagine if everyone did? What is next for you? How do you see your mission expanding and your hobbies translating into impact over the next 5 years? Besides expanding our primate rescue program, my next step is to launch our pony therapy program to help people in need. I am a big believer in animal therapy. They have an incredible potential to heal in their own way. Much like dogs, ponies can provide an intense form of therapy for those with disabilities, children, veterans, and basically anyone who could use a smile. Over the next five years I hope we can show people that animals have such a beautiful purpose and that it is a gift to share a planet with such amazing creatures. With regard to your efforts in non-profit, what are your hopes? How do you define mission complete? When will you know that you have achieved your goals? My hopes for my rescue is that it will be an inspiration, especially to our youth. I hope that we will be able to grow to create a place that is not just safe for our animals but is a safe place for all of those who walk through our barn doors. Free Spirits Rescue’s mission will be complete when there is no longer a need for it. I love what I do but I hate that the need for it even exists. I will know my goal is achieved when animals have rights and animal cruelty has diminished. Until then we will continue what we do and we will be their voice. Everyone has some kind of a soft spot for charity or non-profit work, but most people lean on the crutch of not having enough time. What is some advice that you have for people? If we really want to make a difference we will find the time to do it. There are multiple ways for people to get involved and help a non-profit and our Earth. Life is so overwhelmingly busy, that we make the excuse of not having enough time to deter us from helping create a positive change. Even volunteering once a week for a few hours helps. Hosting a fundraiser to help local organizations, educating friends and family on an environmental issue, spreading awareness on social media outlets or choosing to be more conscious of what you are consuming in your everyday life can make a difference. There is always time to do something. Whether great or small every good deed matters. 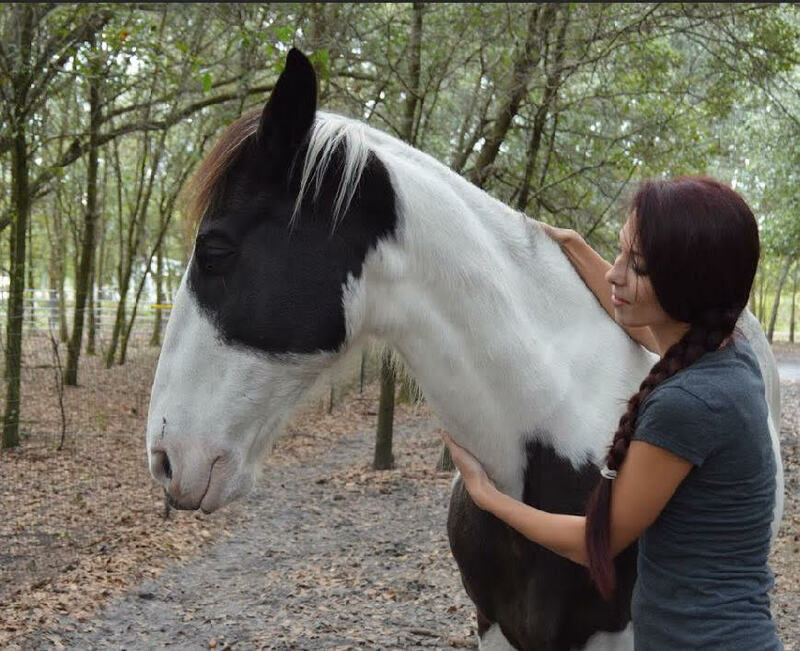 If people would like to get in touch with me they can contact me via my social media: @JungleJen or reach out to Free Spirit Equestrian Center & Rescue at www.freespiritequestrian.org. I absolutely love talking to our youths and answering their questions and giving advice on what they can do help our planet and spread compassion.